If you've been waiting for the Nike+ version of the Apple Watch Series 4 to become available at your nearby Apple Store, today just could be your lucky day. Or, it might turn out to be an unlucky day. You see, it appears that supplies of the timepiece inside Apple's retail stores are limited. If you don't mind us making a suggestion, you might be better off ordering online where you can put together the device exactly as you want it. In the store, you'll be able to take home only those models in stock. The Nike+ Apple Watch Series 4 starts at $399 for the 40mm GPS model ($499 for GPS + Cellular) and $429 for the 44mm GPS model ($529 for the GPS + Cellular variant). The Nike+ timepieces feature distinct Nike watch faces, designed to raise the heartbeat of any weekend athlete (but not by too much, or else the heart rate monitor will send a dire notification). These watch faces are available only on Nike+ models of the Apple Watch. While the Nike+ Apple Watch Series 4 also comes with the Nike Run Club and Nike Training Club apps pre-installed, these apps can be downloaded on any version of Apple's connected timepiece. The smartwatch comes out of the box with the perforated sports band in Black or White, or the woven sports loop in the same colors. If you run at night, you might want to select the latter option because that band will reflect automobile headlamps in the dark. Interested in ordering the Nike+ Apple Watch Series 4 online? Simply tap on the sourcelink below. You’ll get use to it. One that nasty feeling surface of these bands gets worn off, it doesn’t feel bad at all. Still rocking my black/volt nike band from my old series 2 nike+ watch. 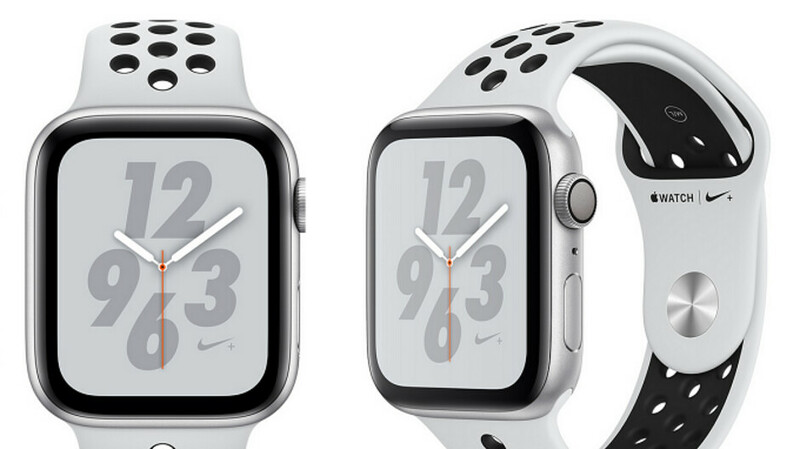 My only complaint on these nike watch is the case is made of aluminum which makes it feel really cheap. I absolutely love the Sport Loop. The thing I like most, is that you can fasten to the exact fit you want, cause there's no holes. When I do the elliptical and HIIT, it never moves even during the occasional bang into the equipment. Just got my case on mine. Does take a little away from the looks but don’t have to worry when I bang it into things.